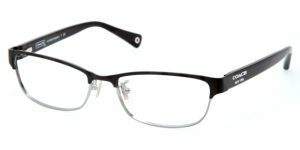 Because people generally recognize you by your face, the eyeglasses you choose to wear are a very real part of your identity. Whether you want to appear sophisticated, fun-loving, youthful, conservative or style-conscious, the right eyewear can help you shape how you are perceived. And if you choose to wear only one pair of eyeglasses for everything you do, that says something about you, too! The first step, according to eyewear styling experts, is to consider the different aspects of your life. What do you really want your eyewear for? What are the different activities you participate in? What type of work do you do? Classic shapes such as ovals, rectangles and almonds. Traditional colors of gold, silver, brown, gray and black. Giorgio Armani glasses for men. Found at Good Looks Eyewear. One way to show your creative, fashionista side is with modern shapes, such as geometric designs in thicker and larger plastic frames. Many modern metal frames also can be creative in appearance. 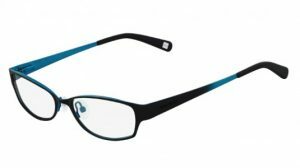 Today’s more fashionable, larger-sized eyeglasses also are an option, as are more unusual colors — such as blue, green and purple. Multi-colored laminates are another possibility, as are flower patterns and animal prints. 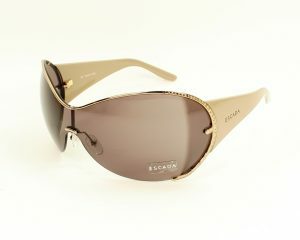 Miu Miu sunglasses for women. Found at Good Looks Eyewear. 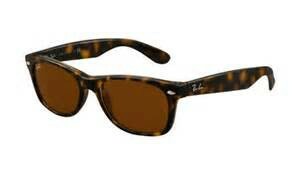 Ray-Ban sunglasses for men. Found at Good Looks Eyewear. Just because you’re eligible for an AARP card doesn’t mean you have to wear stodgy, old-fashioned glasses. 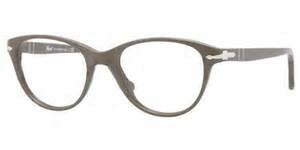 And men: get rid of those giant metal frames that dominate your face! Certain colors also can make you look younger. We suggest gunmetal, deep browns and burgundy for men and lighter, shinier hues for women. 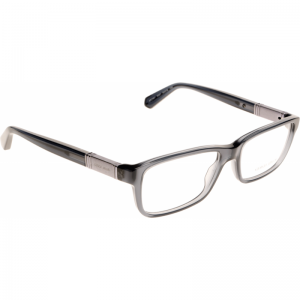 Nine West glasses for women. Found at Good Looks Eyewear. Penguin glasses for men. Found at Good Looks Eyewear. Whether you’re studying engineering or art, business or French literature, college is a time to develop your own identity — and show off your style. Unusual shapes, bright colors, larger sizes and interesting details such as color laminations, all are readily available in a variety of prices and brand names. 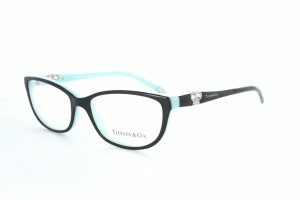 Tiffany & Co. glasses for women. Found at Good Looks Eyewear. 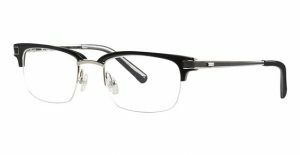 For the busy mom (or dad) on-the-go with little time to worry about the latest trends in eyewear, a basic yet stylish pair of glasses might work best. Ovals, upswept rectangles and soft cat-eye shapes are very functional and still look great. Lilly Pulitzer glasses for women. Found at Good Looks Eyewear. Hackett glasses for men. Found at Good Looks Eyewear. Most adults live dual lives — their “normal” 9-to-5 weekday life and their (usually) more active life on the weekends. For the best comfort, performance and safety during “weekend warrior” hours, choose at least one pair of sport sunglasses, sport eyeglasses or even just a more casual, sports-suggestive eyeglass frame. 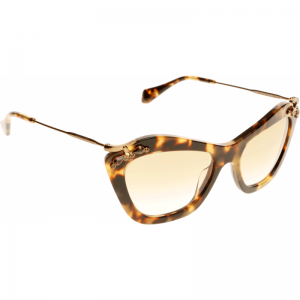 Styling can range from wraparounds to more conventionally shaped eyeglasses and sunglasses. Sporty looks can include bright or neon colors, stripes and modern combinations of metal and plastic materials. Oakley sunglasses for men. Found at Good Looks Eyewear. If you are having trouble finding a style that suits you, please stop in to Good Looks Eyewear for assistance. Our ABO certified opticians will gladly help you find a look that fits your unique personality. Good Looks Eyewear has locations in Cranberry Twp. and in Pittsburgh. Contact us if you have any questions. Good Looks Eyewear carries a variety of brands. Browse through our designer collection and our exclusive collection to find a brand that may suit you best.